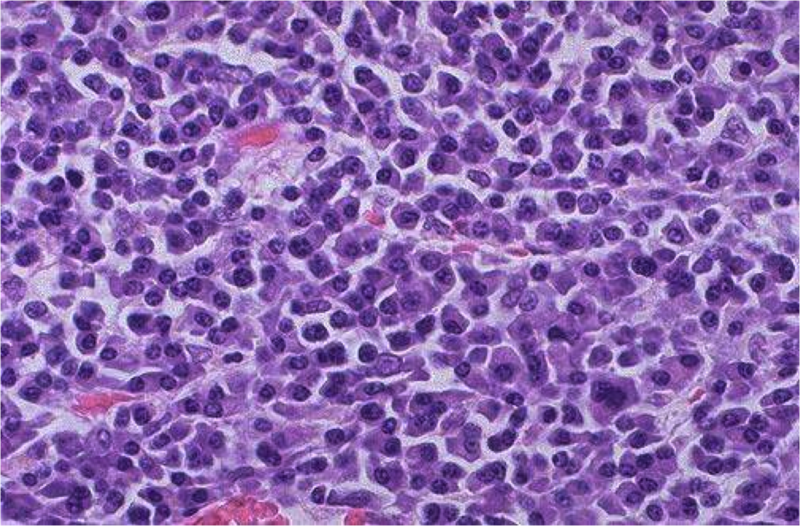 ﻿The "molecular mail" sent by multiple myeloma cells provides clues to how well patients with the disease are likely to respond to treatment, according to a study being presented at the annual meeting of the American Society of Hematology (ASH). The findings may ultimately guide doctors in deciding which therapies are best for individual patients with myeloma, the study authors say. The study focused on exosomes, tiny sacs that cells release into the bloodstream as a way of communicating with other cells. The exosomes contain microRNA molecules, fragments of RNA that help control the activity of genes. The type of microRNA molecule in each exosome holds a specific message - an order to be conveyed to another cell. The researchers then tested for 24 specific types of microRNAs in blood samples from 112 myeloma patients who were participating in a French clinical trial of a new drug. By tracking the results against several years of patients' health data, they explored whether high or low levels of any of these microRNAs were associated with a particularly good or bad prognosis. They found that patients with low amounts of two microRNAs - known as let-7e and 106b/25 - survived for less time before their disease began to worsen. The results indicate that blood levels of these two microRNAs can help predict progression-free survival - the average amount of time before the disease advances - in myeloma patients who have yet to be treated. In addition to serving as a prognostic tool, the level of these microRNAs may eventually help doctors determine which patients are likely to have the best responses to different types of therapy, he comments.